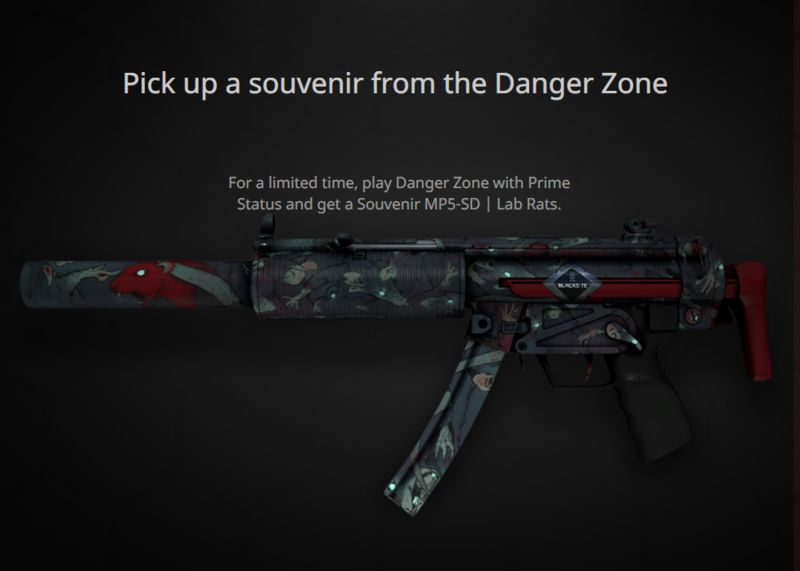 In the wake of the launch of the new Battle Royale mode in Counter Strike: Global Offensive called Danger Zone, Valve has decided to reward loyal players by dropping a new skin called MP5-SD Lab Rats when a user plays the Battle Royale mode for the first time. All prime users are eligible for this drop, while new users will have to purchase the prime status available on the steam store. The offer is only for a limited period of time, and it is expected that it will only stand till the next major update is released. Interestingly, the name Lab Rats most likely refers to an experiment of sorts, where the users will be the “Lab Rats” on whom the “experiment” of the Battle Royale mode will be tested upon.